These two letters were written to Lewis Allen Alderson by his friend C. G. Taylor. 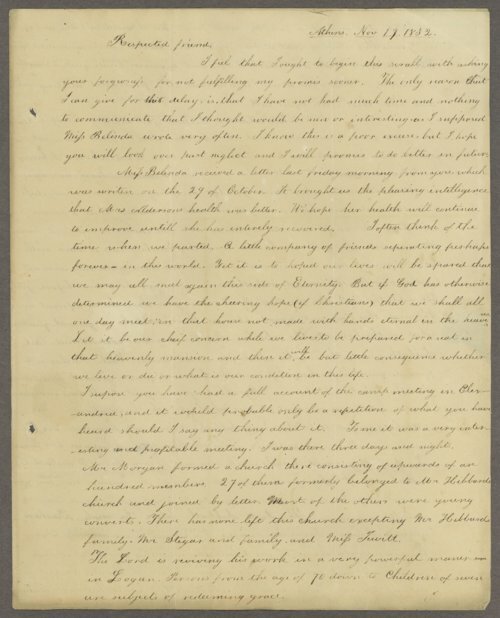 In one of the letters, Taylor addresses Alderson's sister, Belinda C. Miles. Alderson later moved to Atchison, Kansas, in 1858 and was a prominent Baptist minister. He died in Atchison in 1881.